CALLING ALL EICHLER ENTHUSIASTS! This iconic midcentury home meticulously renovated by Maverick Design is the one you have been waiting for! Walking through the front door, you will be amazed by this newly reimagined, yet truly timeless Eichler home. The stunning atrium opens to the sky and leads you to a great room flanked by dramatic floor-to-ceiling windows. Views extend to the private back yard and entertainerâs dream featuring several outdoor living areas including a pool, large lawn, pergola, and custom fire pit. Inside, guests will gather in redesigned and expanded chefâs dream kitchen featuring European style cabinets, a large island with waterfall countertops, and high-end engineered hardwood floors. Three of the four bedrooms share a separate wing and a full bathroom with designer tile and statement finishes. The expanded master suite with designer lighting and a walk-in closet flows into the spa-like bathroom complete with a double vanity, Nero Marquina stone tile, and an expansive feature shower. Relax in your retreat and have coffee poolside each morning. 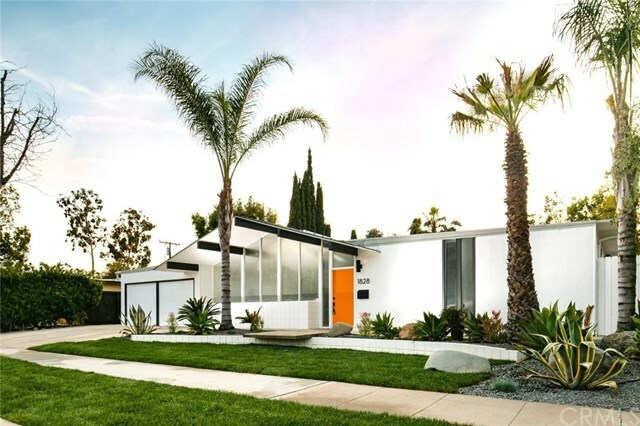 Come experience the indoor, outdoor lifestyle of this unique Eichler today!